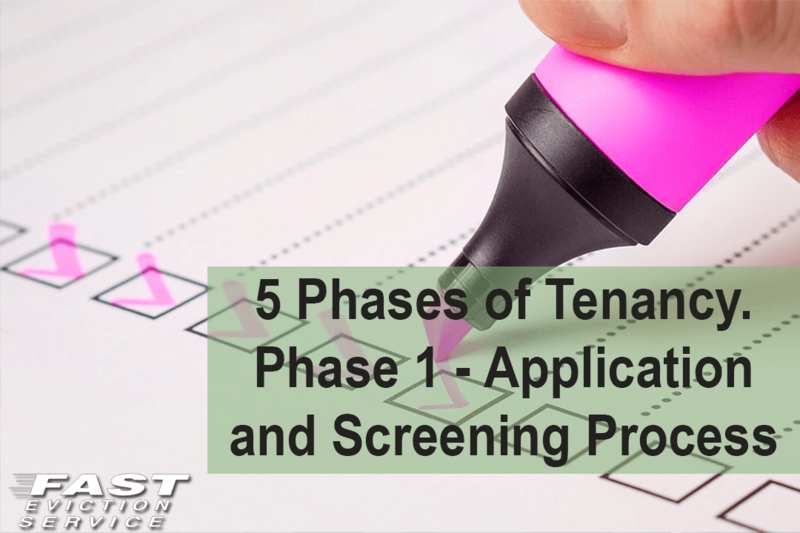 This is the first of a 5 mini series of the 5 phases of tenancy – from the application and screening process to what to do after the tenancy has ended. Answer your phone as a “Property Management” company when advertising a unit for rent. Deceiving applicants will simply hang up if they think a management company will be reviewing their application instead of a private owner that they may be able to hide information from or be deceiving. Use google to get work phone numbers and verify employment for an applicant. If you call the phone number that a tenant provides, you have no idea who you are calling. It could be a relative ready to lie and answer all the right questions. Same thing with calling previous landlords. If you use the phone numbers provided by the applicant then you are only calling exactly who the applicant wants you to call. If the applicants want to make payments on the deposit, it is a set up for failure. I don’t care what the story is (because there is always one) if they don’t have the full rent and deposit then this just shouldn’t happen. If they want to pay a few months in advance be cautious you may not get another dime and have to start an eviction. By having the applicant sign a holding deposit agreement when you take a deposit (only if you are not collecting the rent deposit and signing the lease all at the same time). In the event the tenant backs out you can charge daily rent for the time the unit was taken off the market. Stay tuned for the rest of the phases!